Prayers and Anointing for Healing at Side Altar after Worship: Fr. Shawn will be at the side altar after worship this Sunday, January 7, offering prayers. Deacon Bianca Elliott will be ordained a Priest in God’s One, Holy, and Catholic Church this Saturday, January 6 at 10:30 am at Grace Cathedral, 701 SW 8th Ave., Topeka. There will be a reception after the ordination at the Cathedral. Also, we are celebrating this Sunday, January 7, with a reception after worship in Sifers Hall. Mother Bianca will be at Saint Aidan’s another six months to conclude her parish internship. Simon Johnson, organist at St. Paul's Cathedral in London, will perform at the next Great Spaces concert at Grace Cathedral, 701 SW 8th, Topeka. 2018 Episcopal Kalendars Are Here!!! 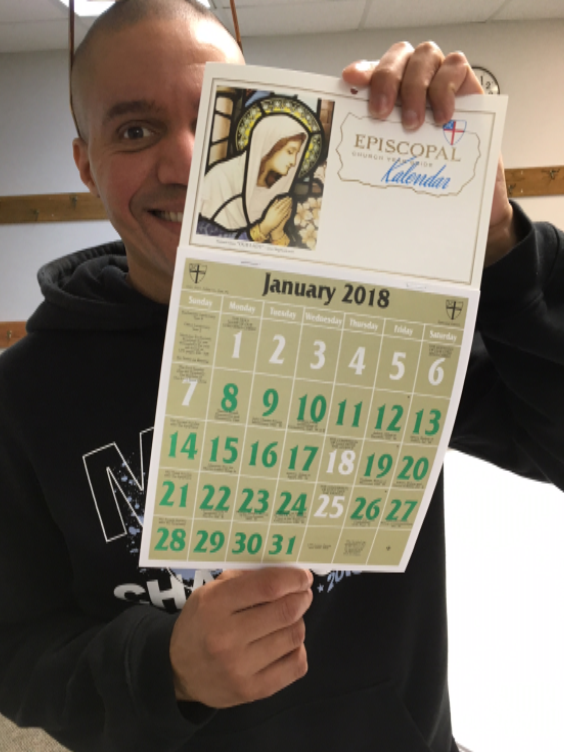 The 2018 Episcopal Kalendars are on sale in the narthex (entryway) on the table under the AED for the low, low price of $5.00 apiece. Hurry, because they are disappearing fast! John proclaimed, "The one who is more powerful than I is coming after me." As we prepare to live out this new year, we want to acknowledge that we follow Jesus, the one who is more powerful and yet the one who came in humility and poverty. He is the one we proclaim as God’s son, yet he lived simply and died violently. 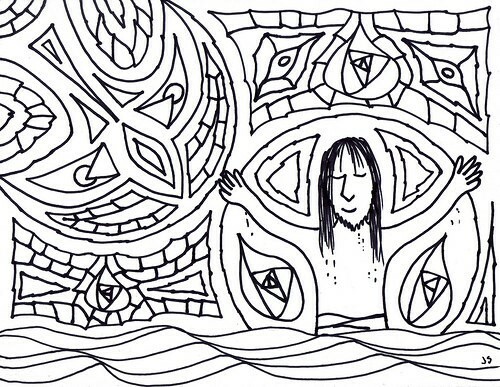 We, his followers, have been baptized into his mission of justice and peace. 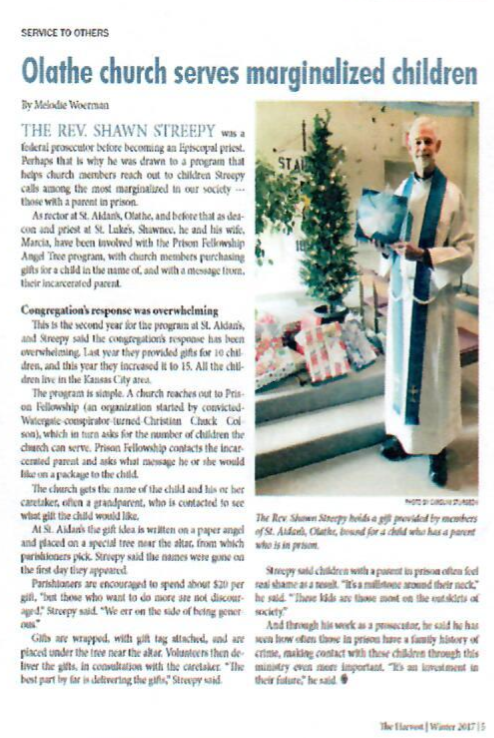 St. Aidan's Angel Tree Outreach is in "The Harvest"
St. Aidan's Angel Tree program was included in the Winter 2017 Harvest magazine, page 7. It is an encouragement for other church communities to remember the children of inmates at Christmas. 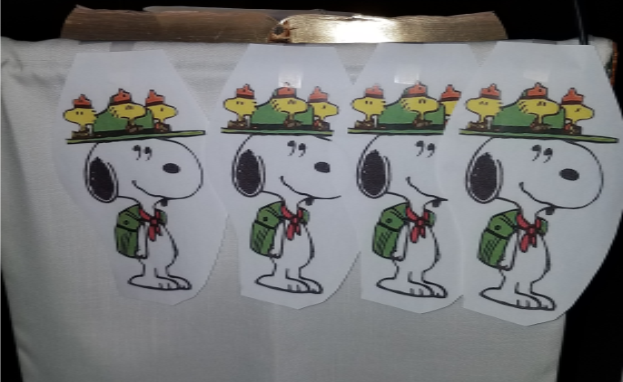 We have raised the funds to send one parishioner to Episcopal Mega-Camp next summer, so there are four Snoopies on the lectern For every $400 we raise, we will remove one Snoopy!! Give the gift of camp! ﻿If writing a check please note Mega Camp on your checks. If giving cash, there are offering envelopes on the back of the pew, please write Mega Camp on the envelope. 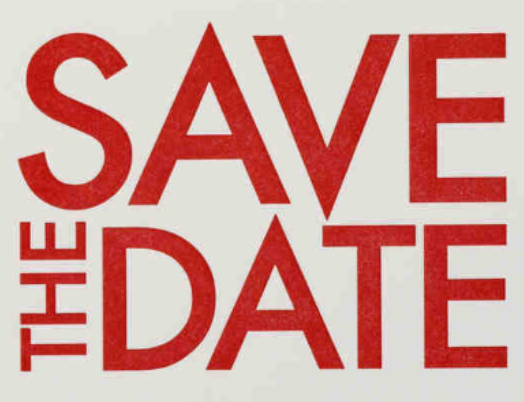 The Annual Meeting for the parish will be held on Sunday, January 28, 2017, after worship. This will be followed by a pot-luck luncheon. Come join the fun! 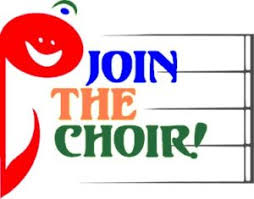 Choir practice is Wednesday at 5:30 in the Nave. See our choir director, Claire Binek if you are interested. BackSnack Packing Has Resumed - Wednesday at 5 pm. We pack for five area elementary schools on Wednesday afternoon at 5 pm; we also go to pick up the boxes at 1:30 pm. See David Kahn (913 486-7488). 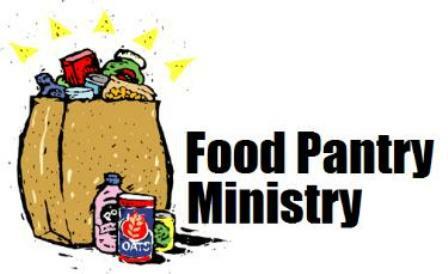 Food Pantry at St. Paul's in Kansas City, Kansas - Wednesday at 11 am. 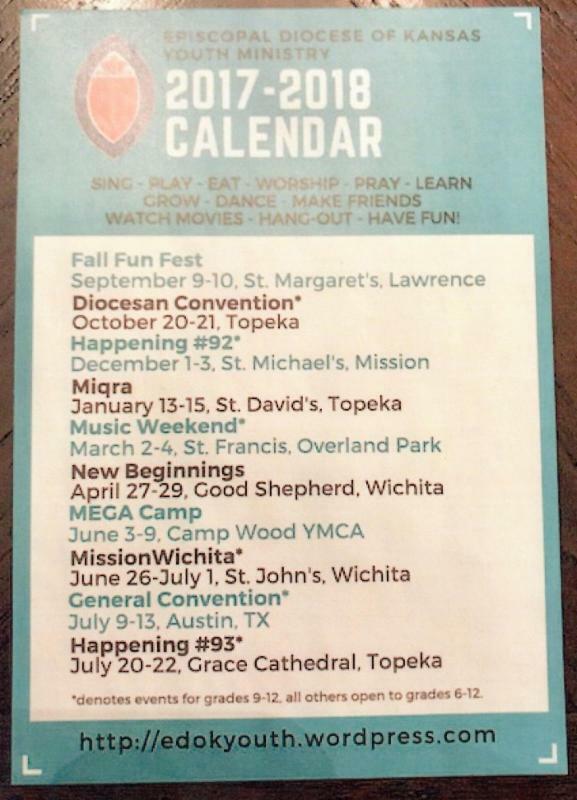 St. Aidan’s has a visible and influential presence at the Food Pantry at St. Paul’s Episcopal Church in Kansas City, Kansas. 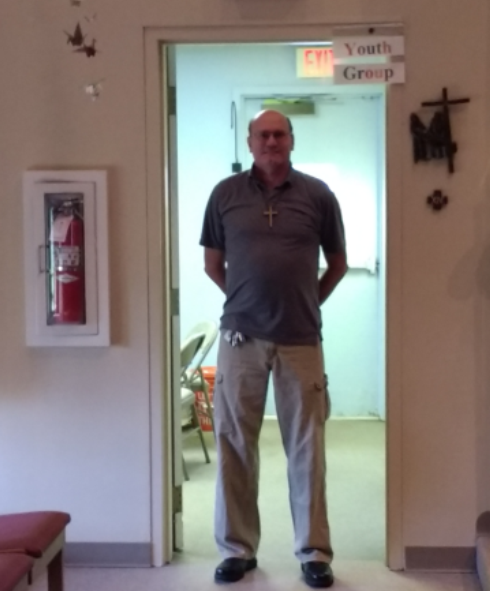 Several parishioners faithfully serve each Wednesday at 11 am, by transporting bulk food substances to the pantry and assisting the clients of the pantry. If one of your resolutions for 2018 is to be more involved in the community, the pantry is a great place to fulfill that resolution. Please see Paul Reed (913 269-4564) or Don Seifert (913 208-7393). 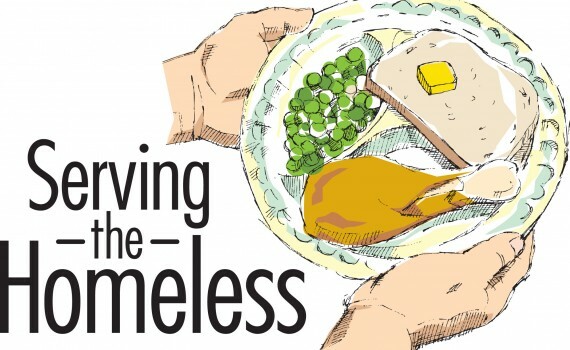 Johnson County Food Ministry at the Center of Grace January 25. Love God and your neighbor by preparing and serving the community meal at the Center of Grace, 520 S. Harrison, Olathe, on the fourth Thursday of the month. 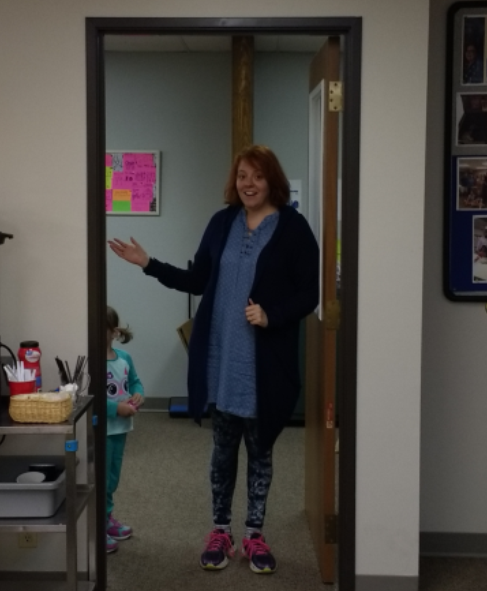 NourishKC (formerly Episcopal Community Services) is now partnering with St. Aidan’s. Cooks should arrive at 1 pm, servers at 5 pm, and clean-up crew at 6:15 pm. See Barb Belt (913 515-9001) for more information. Have you thought about how you would like to be remembered? Will the world be a better place because you have trod the sod? Join us during the month of February as we boldly go where no man has gone before and consider the world which will come after us. Adult Forum Will Resume this Sunday, January 7, 2018 at 9 am with the Gospel of Mark. Click here for St. Aidan's January 2018 Calendar. 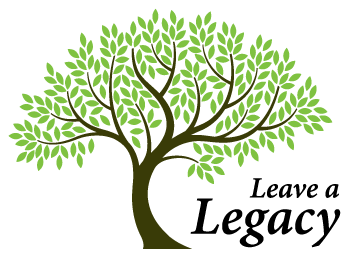 Click on the 'Committees that make a difference' graphic above or click here for an updated List of St. Aidan's Committees. If you have questions, need assistance, would like to join a group, or are no longer able to be part of a group, please contact Senior Warden, Jackie Scott. You can make a difference, get involved and join a committee. St. Aidan's December 2017 - January 2018 Serving Schedule. Please inform the church office of any changes.To view the schedule click here. 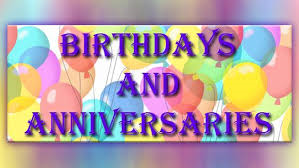 To view January Birthdays and Anniversaries, click here.